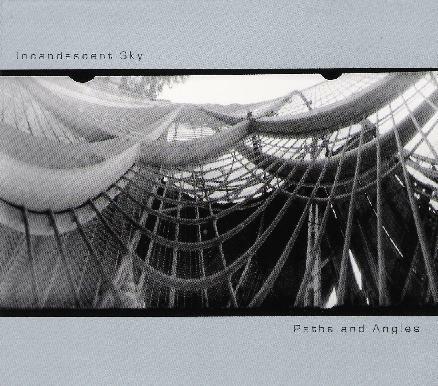 Incandescent Sky - "Paths and Angles"
Incandescent Sky is an all instrumental group from Providence, RI and this is their second CD release. There are 8 tracks in 55 minutes of sometimes really floating space music (There Is Hope) or more ominous music like the Ataranxiety, which features a good number of voice samples and is heavily built on a melodic synthesizer line that deconstructs after 2 minutes, at which point the track really takes off and features Chapman Stick. Angles begins quite new age like before the drums and bass kick in and lift the track up and the guitar kicks in and a very complex track emerges. The Path of Resistance is a strange track with a lot of small things to listen for. Inside Irises begins with piano and is quite happy but devolves into a really spacey piece in the middle with some guitar synthesizer and a change in the piano style. The May Rules is a long 11 minute piece which begins with some really cool wind synthesizer (wish I owned one of these!) and is very spacey. The track stays very laid back and psychedelic the whole way through. The CD ends with Trade Winds, which features some totally insane guitar that is panned all over the place and combined with a lot of strange sounds. Quite a cool track. Every track on this CD is different and a real journey. Great stuff. For more information you can visit the Incandescent Sky web site at: http://www.noisynoise.com/incandescentsky.